2013 Chairman to Speak on World Environment Day | FEED, Inc.
Chairman of FEED, Ofelia Bakker-Mananquil, to speak at World Environment Day celebrations, June 5, 2013. 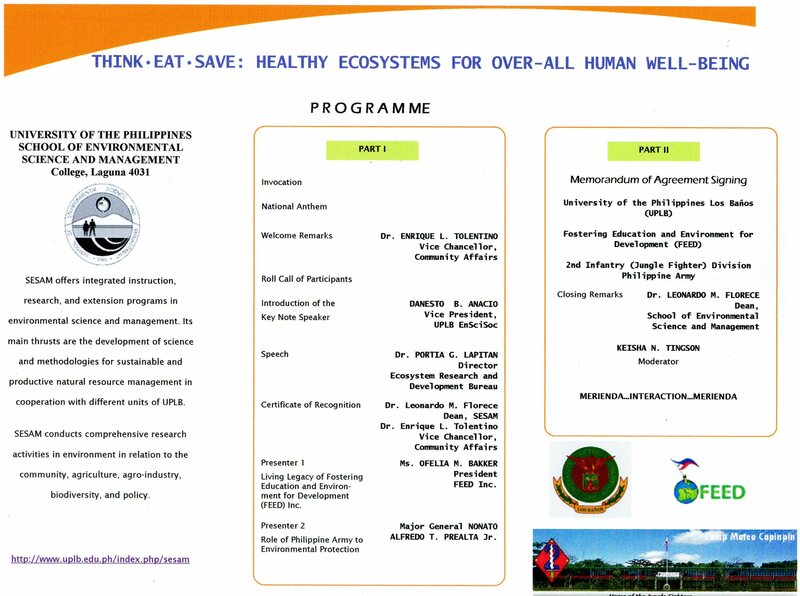 World Environment Day celebrations, June 5th, 2013, UP Los Baños, UNEP, UPLB, PA. Within this year’s theme “THINK. EAT. SAVE.” the University of the Philippines, Los Baños is hosting World Environment Day celebrations on June 5th, 2013 to help raise awareness on the significance of Fostering Education & Environment for Development (FEED) through the UPLB and Philippine Army collaborations. Under the topic “Greening the Philippines. 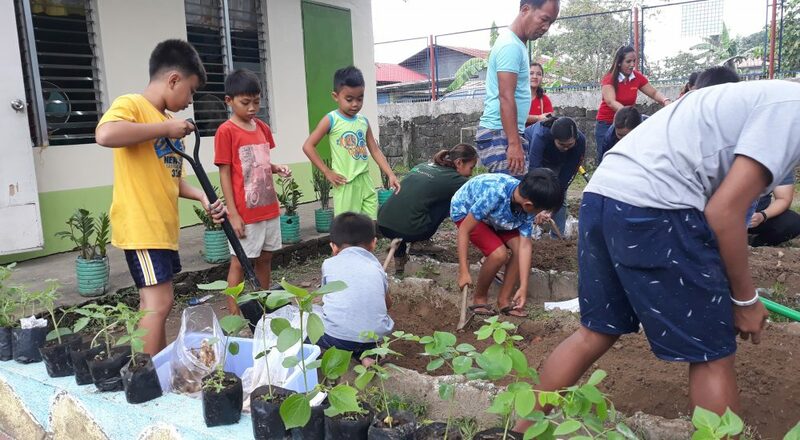 One Scholar & One Tree at a Time“, FEED focuses its efforts on the role of collaborating for change in order to achieve greater impact – by converging resources and encouraging increased support from the private sector, in line with the Philippine Government’s National Development Plan focus on Public-Private-Partnerships in Education & Conservation of the Environment. So take action from your home, and witness the power of collective decisions to reduce food waste, save resources and reduce our ecological footprints. The United Nations Environment Program “Think. Eat. Save.” acknowledges each individual’s efforts in reducing our overall water, carbon and ecological footprints, by raising awareness on the enormous imbalances in human lifestyles, and the resultant devastating effects on the environment. 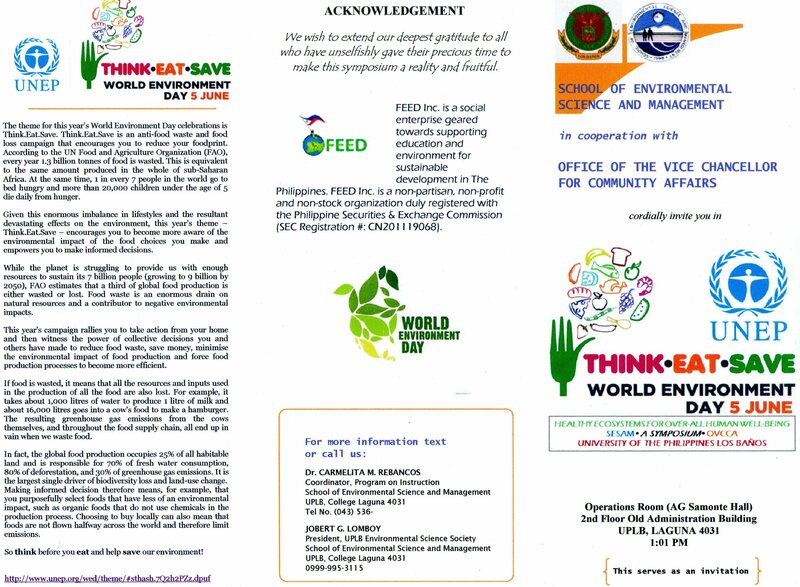 FEED’s support of the UP and the UNEP’s “Think. Eat. Save.” campaign aims to encourage all of us to become more aware of our environmental impacts in food and other lifestyle choices, and to make more informed decisions – in an effort to impact change in our immediate environments.